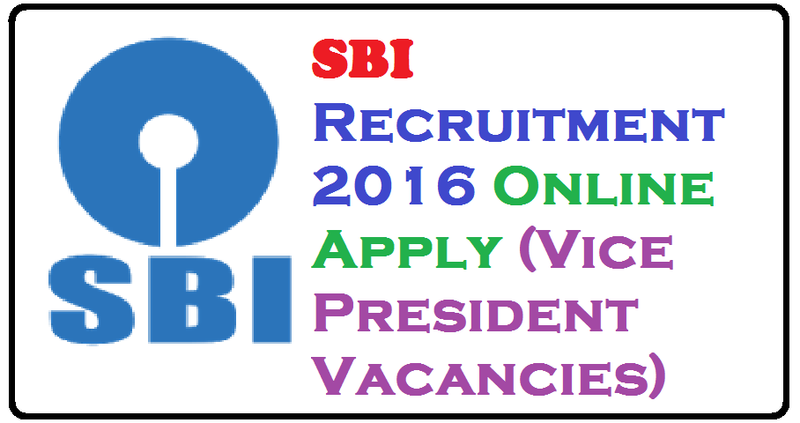 State Bank of India (SBI) invites Online applications from Indian Citizens for appointment of following Specialist Cadre Officer (Vice President) posts in SBI 2016-17 on Contract Basis. The Online registration start from 6th July 2016 and close on 20th July 2016. MBA (Marketing) or MCA from reputed institution. Minimum 10 years of experience in B2C industry verticals out of which minimum 5 years of experience in sales, customer service and marketing. Candidates with PMP certification preferred. Master's degree in Statistics, Mathematics from reputed university / MBA (Marketing/ Finance/ Operations) or MCA. Minimum 10 years of experience working with lending products in the bank. Age Limit: 45 Years for all posts. Remuneration: The total emoluments (CTC) will be ₹ 24 lacs per annum (Negotiable for suitable candidate). No perquisites. Application Fee: ₹ 600/-. The Fee payment will have to be made online through payment gateway using debit card / credit card / Internet Banking etc. How to Apply: Eligible Candidates will be required to register themselves online through SBI Online Recruitment Portal on or before 20/07/2016. For any queries email to sbirect@ibpsorg.org.